Please join us in the Community Room adjacent to the main meeting room from 6:30-7:15. Looking forward to seeing everyone at our April Meeting! Meeting cancellation policy: If Amherst Schools or Amherst After-School Activities are cancelled, then the General Meeting (2nd Tuesday of the month) will also be cancelled. This will be reinforced with a general email to membership and a Facebook posting. Looking Back: At our March meeting, Matthew Nusstein, a naturalist with the NYS parks department, spoke about the past, present and future of our forests and the incredible impact invasive plant species and exploding population of deer have on the forest ecosystem. He emphasized how our stewardship in protecting and preserving the delicate ecosystems within our forest is crucial for the future of our forests. I have be en thinking a lot about transitions this week. Recently, I went for a walk in a local park. The ground was still covered in snow, but the sky was blue and the sun was bright. As the path looped around by the creek, I heard honking. The ice had melted in the center of the creek, and floating along with the current was a flock of geese. Now, the snow is disappearing, and the days are getting longer. Springtime is coming! 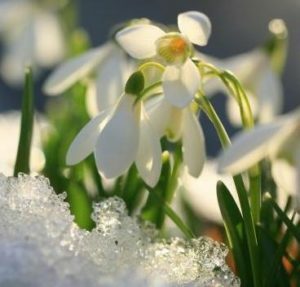 Spring – a time of change, where some things end and others are born. Our chapter is also entering a time of transition, where we will see endings and new beginnings. Just after our March newsletter was distributed, I learned that Jaclyn Rossini has to give up her position as editor. Jaclyn has served our chapter faithfully in this capacity, and we have all benefited from her talent and skill. We are grateful for the time she dedicated to the role. 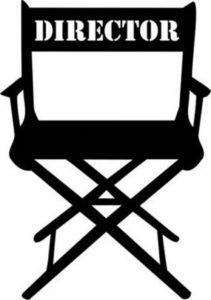 At the picnic this June, we will be electing a new First vice chair / Outings coordinator. Our by-laws limit the holder of this position to two terms, and Mary Schraven has served her time. As Outings leader, Mary has maintained a full and varied calendar of activities. We will miss the energy and vision she brought to this role. She now plans to turn her attention to conservation efforts. So, now our chapter needs to recruit someone to fill each of these two vital positions. Is this your time to try something new? You will have the chance to work with some of the best people I know, while helping our chapter to thrive. Please give it some thought. 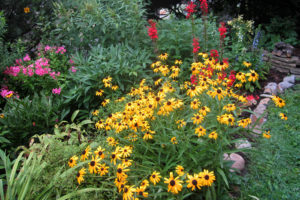 You can help members of our ADK Chapter as we celebrate spring by planting trees (see Mary Schraven). 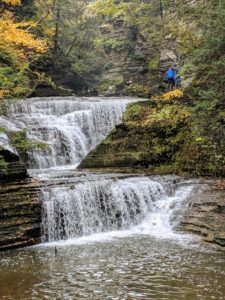 Take a walk on the wild side: Every few years our chapter heads back to ALLEGANY STATE PARK to work on maintaining a walking route on the park’s wild boundary with Pennsylvania. The purpose is to maintain a path (not an official trail) on that wilderness boundary so park employees can more easily find and walk along it while monitoring activities on the PA side (gas/oil wells, logging, etc.). We need LOTS of volunteers on that weekend to continue this important Boundary Project. Come down for either Saturday or Sunday, or both days. We’ll meet there each morning for a briefing and to sign a NYS form, and then split up into teams. Each team will be assigned a specific section of boundary. I will provide maps – the distance and degree of difficulty will vary from section to section based on access points & terrain. The teams will have 3 or more people, each carrying a pruning saw, loppers, or hammer w/nails & several state park boundary signs. BYO tools (No power tools). Our job is to precisely follow the boundary and do basic brush & limb trimming, flagging with surveyor’s tape, and post more boundary signs as needed. Every person should bring a tool & backpack or day pack containing whatever you would carry on a day hike (see “the 10 Essentials”), including food, water, 1st aid supplies, and personal items, plus heavy work gloves. We will have the Taft Cabin in Quaker available Saturday night for people working both days (plan on approx. 6 hours each day on the boundary), up to the capacity of that cabin. Early May is a great time to walk in the forest to see nature’s greenery springing back from winter, but be prepared for the weather and wear appropriate clothing & footwear for potentially wet conditions. Contact Bob Van Hise 716.628.0355 adkpaddles.bvh@gmail.com with your questions or to sign up. Bring a friend. We need YOU! Join in our chapter’s efforts in the annual Buffalo Niagara Waterkeeper Spring Sweep. To sign up, go to the BN Waterkeeper page and register for “Tonawanda: Ellicott Creek Park” (or call 716.852.7483). Our ADK Chapter’s group captain will be Judy Catalano—more info is available in outings section of this newsletter. Good Practices: When going out for a walk in the woods or paddling your canoe or kayak, bring a trash bag and do a little clean-up every time you’re out. Our Chapter’s 46ers webpage has been updated. It now includes useful information for Aspiring 46ers and a colored, terrain map showing the locations of the 46 High Peaks in Adirondack Park. 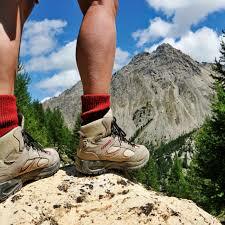 Also updated is the list of Niagara Frontier Chapter members who have completed the 46 High Peaks. We want you on our list! Please submit any new entries or updates to David Kowalski (dfk2008@gmail.com). To visit our 46ers webpage, click ‘Our Chapter’s 46ers’ in the menu bar at the top of this page, or click here. Kathy Clerkin is the cheery face that welcomes ADK members to our monthly meetings. She also reaches out to new members every month with a friendly phone call and a Welcome Letter. In addition, Kathy serves one week every summer as the Heart Lake Campground Host near the epicenter of the Adirondack High Peaks. There she assists campers and as usual, provides that warm cheerful welcome to ADK guests. As the coolest grandmother ever, over the years she has invited her grandson to spend the week with her, and his resulting love for the Adirondacks has shaped his desire to attend Paul Smith’s College near Saranac Lake. A retired 70-something nurse, Kathy realizes the benefits of staying active for a long and healthy life. She works out 6 days a week at her local YMCA and quick-walks several miles on most days in Chestnut Ridge Park. It is a challenge to keep up with her, as evidenced on a recent roadwalk she led for ADK! Kathy was recently featured in a Buffalo News article on the secrets to aging gracefully, based on a study by the UB Center for Successful Aging. • have a good outlook on life! 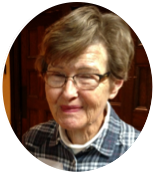 Kathy is an avid hiker and traveler, and is also blessed with close family and friends. We are honored to have this spunky, inspiring example in our ADK family! NFC Outings Chair Mary Schraven did a formidable job organizing 28 outings. Our Webmaster Rob Laing oversaw the website for outreach and registration, and our Treasurer Doug Gaffney handled the finances. Many of the outings were enthusiastically led by Niagara Frontier members including Rob Laing (Sugar Hill Fire Tower, Goundry Hill hikes), Janet and David Kowalski (Finger Lakes National Forest and CT Hill Wildlife Management Area hikes), Mary Schraven (Watkins Glen and Taughannock State Park hikes, Richard Schraven (Chemung paddle), Teresa and Peter Corrigan (Cornell Ornithology Lab visit), and Cheryl Peluso (Tanglewood Nature Center hike). Over 130 ADK members attended, with the diehards from the Niagara Frontier Chapter having the highest participation! Of course the best perk of all was meeting and getting reacquainted with the congenial, terrific ADK folks from other chapters across the state. It was a joy to engage with others who share similar interests and values in the beautiful outdoor settings. Look forward to the 2019 ADK Fall Outing that will be held September 6-8 in the Poughkeepsie area. This year, the ADK-NFC Volunteer of the Year Awards have been given to Janet and David Kowalski. Our Chapter would like to recognize their many contributions that have enabled our monthly meetings to run more smoothly and helped create a sense of community among our chapter members. 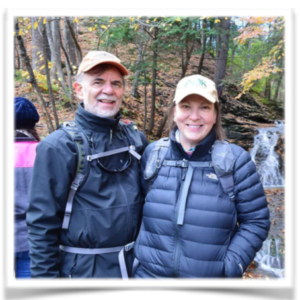 Janet, a past Chapter Chair and Programs Chair, is a frequent hike participant and leader. Janet often contributes engaging trip reports for the newsletter, which has the effect of everyone wishing they had gone on the outing. Janet is a gracious hostess and has made sure the Executive Committee was well-fed. We have come to count on her healthy and delicious pot-luck dishes! Janet is there to lend a hand to any of us, helping us to meet newsletter deadlines, edit our writings, and offer to help whenever needed. Janet’s enthusiasm and love for ADK is evident in every conversation one has with her. David co-leads outings with Janet. He has assisted with regular postings of trip reports, managing the home page of the website and setting up the AV equipment during monthly meetings. 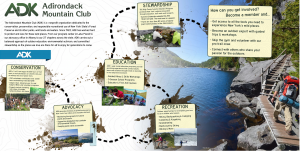 David writes a Conservation Blog that often features ADK sponsored conservation initiatives. Janet and David, we thank you for being who you are and for all the ways you uplift, problem solve and help make our chapter a strong community! The Adirondack Mountain Club Niagara Frontier Chapter, Conservation Committee presented their 2018 Conservationist of the Year award at the club’s annual June picnic at the Chestnut Ridge Park Commissioner’s cabin. This award recognized the members from various groups who have spent decades working towards a proper and complete clean-up of nuclear waste at the West Valley Demonstration Project in West Valley, NY. The recipients gratefully accepted the award in honor of all of the past and present coalition members for their dedicated advocacy and community activism. In particular they recognized Carol Mongerson, who was the founder and leading member of the Coalition on West Valley Nuclear Wastes until she passed, Maria Maybee from the Seneca Nation of Indians and Kathy McGoldrick. Congratulations to our Chapters Recent 46ers! Two climbers were celebrated at the October 9, 2018 ADK General Meeting as new 46ers. Congratulations to Leslie Salathe and Patty Pikul! Their 46th peak started with a backpack trip on Friday August 21st, and they summited Allen on Saturday August 22nd. The seven and a half miles covered on Saturday took roughly eight and a half hours. A good deal of the time was spent hiking up a very steep and slippery slide covered with the purple algae. The climbers listed below were celebrated at the September 11, 2018 ADK General Meeting as new 46ers. Bravo! And for 2nd Round of 46! We want YOU on our 46er List! Please submit any new entries or updates to David Kowalski (dfk2008@gmail.com). 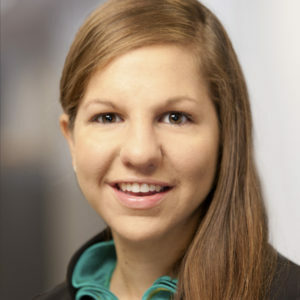 Recently we heard from Kristen Taylor and added her information to the list. She completed a Winter round of 46 high peaks on Phelps (#8689W – 3/18/17) and a Regular round on Saddleback (#8689 – 9/24/14). We also added information for Lynne Blanchard (#7957) and Jan Errick (#7958) who both finished on Haystack (7/16/13). To view Our Chapter’s 46ers List, click here. Carry on our Chapter tradition of carrying our ADK-NFC 46er Flag to the top of your 46th peak. 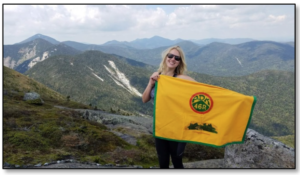 Call Lynn Kenney (825-7329) to pick up the 46er Flag so it can be a part of your celebratory photo when you complete your final peak to become an Adirondack 46er. I attended the Adirondack Mountain Club Board of Directors meeting held in Lake George on 4/7/18. This is a quarterly meeting that has representatives from each chapter along with the Executive Committee and many staff members. We review reports from staff members such as the Executive Director and Treasurer, and committee chairs such as the membership chair and Heart Lake Property chair, among many others. The meetings typically last 5-6 hours and a lot of information is discussed that pertains to how the club operates and how the resources of the club should be focused. The Heart Lake property construction will begin as soon as winter ends and the snow melts at the property. Planned this spring/summer is a new septic system, new washhouse near the HPIC, new decks for the HPIC and a concession stand near the HPIC. The existing washhouse was gutted over the winter and the hot water system was expanded and all new fixtures installed – that is something I’m looking forward to seeing. 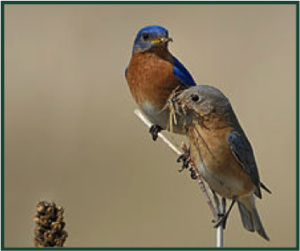 The Fall Outing is scheduled for 10/26-28 and will be hosted by the Finger Lakes Chapter and Co-sponsored by ADK-NFC. Neil Woodworth has been busy working on several fronts including the storage of rail cars near Tahawus (which are being removed), new UMP for the Boreas Ponds and updated plans for other areas, working with the local municipalities and the state on solutions to overcrowding in the High Peaks region. As always, if anyone would like more information on any topic please don’t hesitate to contact me at rlaing537@gmail.com. Here’s a fun way to display the wonderful opportunities offered by ADK! To enlarge the image, click here. The Executive Committee approved a new policy coordinate the decision to cancel the Monthly General Meetings with the Amherst Central School Closings. Since the Amherst Community Church property abuts Amherst High School, the winter weather conditions that warrant school closings will also dictate our General Meetings. When Amherst Schools or After School Activities are cancelled on the day of our ADK meeting on the 2nd Tuesday of the month, then our monthly general meeting will be cancelled. Cancellation news will be reinforced with emails and Facebook postings. Minor modifications to our chapter bylaws will be voted on for approval by membership at our Annual Picnic/meeting on June 11. Our Outer Harbor (OOH): We joined the OOH Coalition, a group of WNY advocacy groups dedicated to preserving the public trust on Buffalo’s waterfront. Any development of the public properties in the Outer Harbor must benefit the wider public, be water dependent, and support the unique natural character of the Outer Harbor. Great Lakes Restoration Initiative: ADK signed a letter circulated by HOW (Healing Our Waters – Great Lakes Coalition) urging the federal government to not cut funding to the Great Lakes Restoration Initiative, a federal program that has helped to remove water pollution and harmful algae from the Lakes. Northern Access Pipeline: ADK supports the DEC decision to stop the natural gas pipeline proposed to transport natural gas from PA to Canada, which would intersect and threaten over a hundred waterways and wetlands that marble the WNY landscape. Join the ADK Niagara Frontier Chapter! 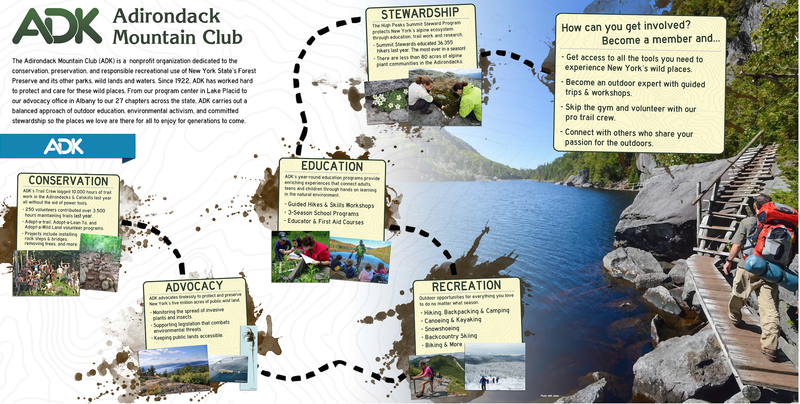 Click here to visit the Adirondack Mountain Club (ADK) website. Select a Membership Type and Number of Years. Under Chapter, select Niagara Frontier.